RIO Professional is the premiere software solution for real estate agents and team leaders. Transaction management is the foundation of this web based solution. Offering unlimited transactions, photos and documents, RIO Professional grows with your business. This paperless business management solution gives you the freedom to work from anywhere, be more efficient and create a cohesive business. 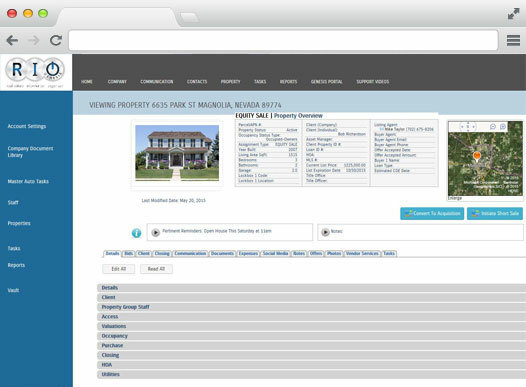 Agents can manage their listings and sales with our paperless transaction management system. Customized permissions allow you to set each user capabilities giving a custom workspace by role and user. Set permissions with ease by selecting a system user role based on job function within your organization. System roles come complete with a set of permissions making setup easy. 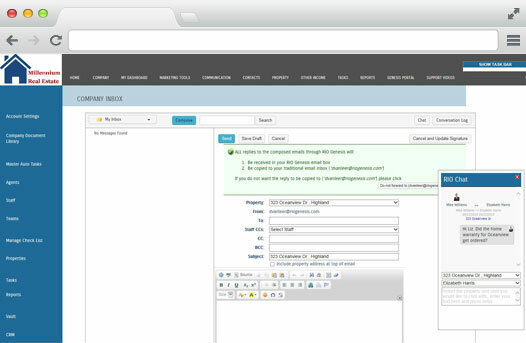 Communicate seamlessly with email integration. Email property documents, photos or local files directly from your RIO account, making working on the go easy. User chat feature makes inter office communication a breeze. 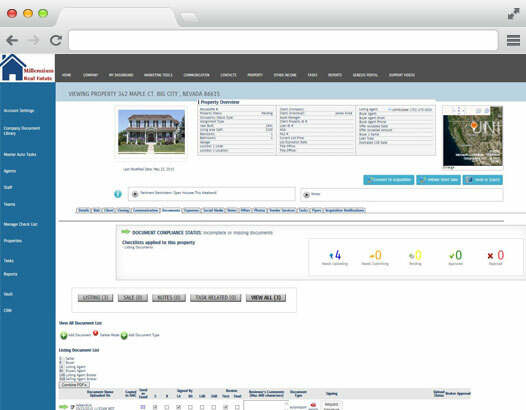 Receive all offer, short sale and acquisition notifications in our Notification dashboard. Our online offer submission feature gives agents the opportunity to post their properties on our website and accept offers online. 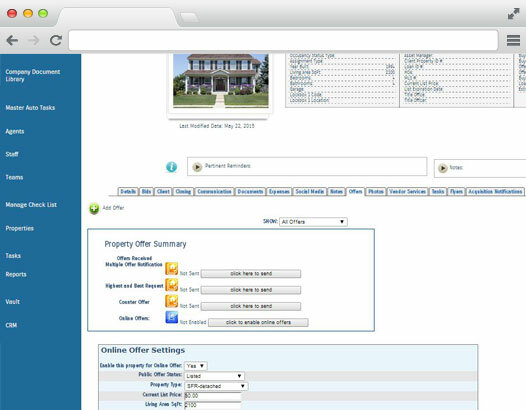 Managing offers and responding to buyers agents can be done with a click of a button. Save time, stay organized, and reduce your liability.